With such a big, full smile there’s no way that you shouldn’t be flashing your pearly whites every few seconds of the day. The problem you have with your smile, though, is the gap between your front teeth. In your mind, it ruins what would otherwise be an awesome grin. Therefore, you’ve decided that it’s time to do something about it. One thing’s for sure – you’re just not willing to endure two or more years of wearing braces, so you need an alternative. Thankfully, your cosmetic dentist in Ft. Collins has a solution to deliver what you want without sacrificing a ton of time. Read on to learn about the benefits of cosmetic bonding and why it’s right for you. Cosmetic bonding is a procedure that uses a tooth-colored composite resin (a type of synthetic material). Your dentist applies it to the area where your existing gap is, then carefully shapes the resin into the appropriate size to cover the gap between your front teeth. 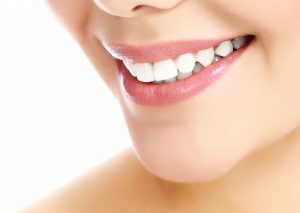 Selecting the Bonding – The process begins with your dentist selecting a shade of bonding material that perfectly matches the color of your teeth. Prepping the Surface – The next step is to prep the surface of your teeth by gently etching the enamel and applying a conditioning liquid to make it easier for the bonding to adhere. Applying the Material – A putty-like substance, the bonding material is shaped and molded by the dentist while it’s in your mouth. She’ll then use an ultraviolet light to harden the bonding. Final Polishing – The final step is to polish the bonding material to prevent it from irritating the inside of your lips. Who’s Eligible for Cosmetic Bonding? There are some cases of diastema (gapped teeth) that can’t be fixed with composite bonding. Also, if you have additional problems like a crooked, crowded or misaligned bite, your dentist will recommend that you consider orthodontal work. But, if your issue is just a small gap between your two front teeth, composite bonding could be the best fit for you. Reach out to your dentist in Ft. Collins to learn more about how this process works and how it can open the doors to a whole new world for you. Get ready to smile with confidence with your brand new look. Dr. Shiloh Lindsey received her bachelor’s degree in biology before completing dental school at the University of Colorado Health Sciences of Dentistry. She is an award-winning dentist, voted “Best Dentist of Ft. Collins” by her peers from 2000 – 2017, and is a member of several professional organizations. Dr. Lindsey practices at Aspen Dental Care and can be reached for more information through her website.